Address // 2311 Woodland Ave.
Open Wednesdays 10am-7pm and by appointment. Thanks thanks thank you! to everyone who came out for our event “Life in Haiku,” the @artandfaithpodcast live recording! We had the most wonder✨full evening. Absolutely a gift to share thoughtful music, great conversation, poetry, art and a few good laughs with such a lovely community. Looking forward to gathering again soon ♥️! “Life in Haiku” podcast up next week 🎉 . . #studiohaikuduluth #livepodcast #artandfaith #haiku #poetry #haikumeditations #tulipteahaiku #duluth #duluthart #artandfaithpodcast #creativecommunity #calledtocreate #artandfaithconversations #libbyjohn #nataliesalminenrude #artofconversation #bestcommunityever!!! Happy National Haiku Day! Could not be a better day to remind you of Thursday’s event here at the studio! 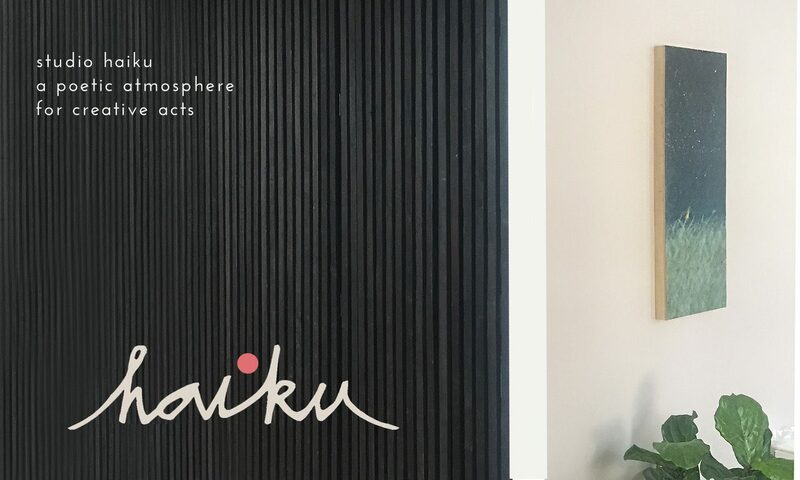 We’ll be talking about haiku as a spiritual practice and listening to the music of Libby John of @artandfaithpodcast, all within our “poetic atmosphere” for creative acts here at Studio Haiku. Join us! $5 ticket link in bio.